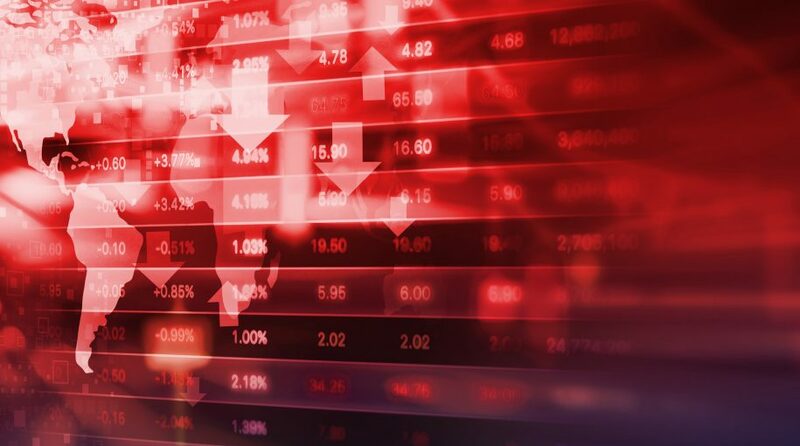 The stock sell-off in the Dow Jones Industrial Average appeared to dampen early in Thursday’s trading session after taking an 800-point drubbing yesterday. Nonetheless, the Dow was still down 300 points, while the S&P 500 and Nasdaq Composite were down just slightly–16 points and 18 points as of 11:10 a.m. ET. Names that lead the rout yesterday like Apple, Google, Facebook, and Netflix recovered. Additionally, benchmark Treasury yields retreated with the 10-year note ticking lower to 3.169 and the 30-year to 3.346. “Net, net, the economy may be running hot, but it isn’t fast enough to kick up inflation pressures and calls into question the need for Fed policymakers to move interest rates to higher levels,” Chris Rupkey, chief financial economist at MUFG Union Bank, said in a note. U.S. President Donald Trump has been a vocal critic of rising interest rates, using social media and speaking engagements to denigrate the Federal Reserve’s rate-hiking with respect to monetary policy. Just last month, the Fed increased the federal funds rate for the third time this year by 25 basis points and hinted that a rate hike in December is imminent given the growth of the economy. “I think … the Fed is making a mistake. They’re so tight. I think the Fed has gone crazy,” Trump said at a political rally in Pennsylvania.